Integers which are divisible by 2 are said to be even numbers whereas numbers which are not divisible by 2 are said to be odd numbers. A natural number which has only two distinct factors which is “1” and the number itself, is said to be a prime number. A number other than “1” and not a prime number is said to be a composite number. A set of numbers which do not have any common factor other than “1”, are said to be co-prime numbers or relatively prime number. Perfect numbers are the natural numbers, whose sum of positive divisors (except the number itself) is equal to the number itself. It is part of mathematics which is fun to solve. It involves concepts such as even, odd numbers, prime and composite numbers, divisibility rules, multiple and factors, prime factorization, HCF and LCM and simplification of brackets. Fractions and decimals are the most important chapters in “Numbers”. Fractions are the representation of a number with “/” whereas decimal is the representation of a number with “.”(Decimal point). What is the predecessor of 3456? If the product of two whole numbers is zero, then ________ of them will be zero. Find out the expression with numbers only? An equation has ____ sides with = sign between LHS and RHS. Ratios are the concepts which are used to compare two values. They make us understand the difference between two numbers. If total number of boys in a class is 5 and total girls in that class is 4, then the ratio of boys in the class can be represented as 5/9. Proportion is a name which is given when two ratios are equal. This can be represented as a:b=c:d. The above topics covers the syllabus such as ratio and proportion of a number, unitary method and word problems based on Ratio and proportion. Meetu weight is 25 kg and her mother’s weight is 75 kg. What is the ratio of weight of meetu to weight of her mother? This topic covers concepts such as Basic 2 dimensional geometrical ideas, understanding elementary shapes (2 dimensional and 3 dimensional), symmetry and construction of Geometrical objects. How many end points does a ray have? The end points of same sides of a polygon are called the _______ vertices. Already students would have learned about the basic concepts of finding the perimeter, area of a given object in the previous classes. Perimeter is the total number of boundary size that an object can cover whereas area is the total number of surface that an object covers. The other concepts which are covered under this topic are concept of Area, area of a rectangle and triangle, calculating the perimeter of a rectangle and square. Find the perimeter of a regular octagon with each side measuring 3 cm. Find the side of the square whose perimeter is 20 m.
This is a branch of Geometry which deals with the construction of geometrical objects. There are specific instruments or tools and specific rules to construct the geometrical objects. The tools such as ruler, compass, protractor can be used to construct every geometrical object. Find out the correct type of the triangle which has sides 7 cm, 8 cm and 9 cm. Collection of information is said to be data. These data can be pictorially represented using graphs, charts, bar charts, etc. The reason behind representing the data through pictorial representation is it gives a clear understanding of the data and its organization. Graphs such as pictographs, tally graphs, bar charts and pie charts are used to represent the data. The topics which are covered under the “Statistics and Data Handling” are definition of data, construction of pictograph, collection and organizing data using the charts such as bar charts, interpret data using the pictograms and graphs. A _____ represents data through pictures of objects. The _______ each bar gives required information. A _______ is a polygon with four sides. Thus, the above topics are covered under the syllabus of CBSE Class 6 Mathematics. This chapter covers the basic difference between the living and non-living things, examples of living and non-living things, characteristics, features, etc. A living thing is an organism which is lively, active and made up of cells. They exhibit different characteristics of life such as growth, development, movement, reproduction, response to stimuli, and needs energy to perform day to day activities. Plants, animals and human beings are the best examples of the living things. Non living things are just totally opposite. They do not grow, respire, move, reproduce and do anything as that of a living organism. Some examples of non living things are electronic goods, paper, stones, etc. Reproduction in plants meant to be generation of new individuals or offspring. Reproduction in plants is either sexual or asexual. Sexual reproduction is done through the fusion of gametes whereas asexual reproduction is done through without the fusion of gametes. In detail, sexual reproduction in flowering plants is done by the production of male and female gametes, and the transfer of male gametes to the female ovules through a process called as pollination. After this process of pollination, fertilization occurs which results in the production of fruits. In other hand, asexual reproduction does not involve any union of cells, or nuclei of the cell. Typically it can be said that asexual reproduction only requires and only allows for only one parent. Asexual reproduction is otherwise called as vegetative propagation. Every animal has unique characteristics and feature. Every animal has distinct looks, different eyes, nose, ears, and bodily structures. For example, the skin pattern, color and body strength is different that of zebra. Also, there are different types of animals such as herbivores, carnivores and omnivores. The animals which eat only plants are called as herbivores. Best example of herbivores are Cow, goat, deer, etc. The animal which feeds on another animal is called as carnivores. Best example for carnivores are Lion, tiger, wolf, etc. An animal or person that eats variety of food of both plants and animals is called as omnivores. Best examples for omnivores are pigs, rats, chickens, crows, etc. Human body consists of different organs which help our whole body system to function well. Also, humans do different things such as seeing, touching, hearing, eating, studying, sleeping and so on. It consists of heart, blood vessels, and veins which is responsible of carrying blood throughout the entire body. The major organs for the process of excretion are kidneys. These help in removing unnecessary waste from our body. It consists of brain, spinal cord, nerves which control all the functions of the body. The most important thing is it controls the brain which is said to be the central processing system of the human body. It gives shape, support and structure to the human body. It gives strength to the body and protects the soft organs inside. As the name suggests, it consists of muscles and controls all parts of the human body. The basic nature of different types of food, how long they stay consumable, when does a food gets spoiled?, how did the people find their foods earlier, Who prepares our own food in our houses?, different types of taste that our mouth can feel, what are the foods for plants are the key concepts which are covered under this chapter. A food gets spoiled when it its atmosphere changes or when the food is prepared long time ago. For example, milk gets spoiled during summer season due to the excess heat in the outside temperature. Who produces food we eat? This chapter makes children to know about the people who really work hard for our daily foods. They study about the farmers, their daily routines in the agricultural farms, how they preserve the crop from natural calamities and so on. What food did people eat earlier? Our ancestors or grandparents would have not eaten the same type of food which we eat now. Thus, different types of food habits are followed during olden days in different places. Our taste buds can feel different types of taste such as sweet, sour, bitter, pungent and salt. This chapter tells the importance of taste buds and different kinds of taste that human beings can enjoy. What are the foods for plants? Just like foods for animals and humans, plants also need food for surviving. The key requirements for a plant are water, air and sunlight. These are said to be the food materials for the plants. According to World Health Organization health can be defined as a state of complete physical, mental and social well being of the human body. In other words, a person is said to be physically healthy, if he/she has no physical deformities and all body functions are working properly. This topic covers various subtopics such as different diseases that are caused if a human body is not healthy. This covers diseases caused when people are anaemic, diseases caused by mosquitoes and other insects. We should drink at least ________ liters of water every day. Vitamins and minerals are required in a very _____Quantity. For these types of wounds, clean the wounded area, apply antiseptic with sterile cotton, and if the wound does not stop bleeding tie it up with a tight bandage called as tourniquet. If the burns are superficial, then the burnt area must be applied with cold water. If the burn type is like blisters then wash with water and cover with a clean cloth. Do not move the broken part of the body. If the bone of the hand is broken tie it up with a sling using a cotton or bandage. Do not move the sprained part of the body. To keep it from moving an elastic bandage can be tied around the affected area. First day, sprain must be treated by soaking your affected area in cold water. From second onwards, soak it in warm water two or three times a day. Ointment must be properly rubbed and applied in the affected area. Write any three safety precautions to be followed by all to avoid accidents on roads. Practice to give signals before turning or reversing. Do not use ice, butter or creams in the affected are. Everything that is surrounding us and affects us is called as an environment. It is always our duty to keep our environment clean away from pollutions. Also, every human being must understand that forest is the important source for all living beings. Forests keep the air clean, and have dense trees which help to give fresh air rich in oxygen. Thus, humans must understand deforestation is a dangerous thing and must not be followed. What the sources of water, water conservation methods, from where the farmers get their water for crops, animals and plants life in water, basic concepts of oil and water which do not mix with each other. Also, this chapter covers layers of the atmosphere, importance of the atmosphere and properties of air, etc. Lower layer of atmosphere up to 15 kms, clouds are formed in this layer. Layer of atmosphere from 15 to 50 kms, planes fly in this layer. What are the sources of water in earlier days? How waters are stored during the olden days? How the waters are got during the olden days. This chapter covers the different types of plants and animals that can live in water. Animals like seal, dolphin, crocodiles, turtles can live in water whereas sea grass, duckweed, algae are the examples of the plants that can live within the water. This chapter covers the difference between nature of the water and other liquids. It also explains why oil does not get mixed with water and other basic concepts of liquids. Name any three water borne diseases? What are the precautions to save water from the pollution? Do not use the ground water located near drainage or sewage. Always store the drinking water in a closed vessel. This chapter covers about our solar system and nine planets in our solar system. It gives an idea about the universe and how big it is. Also, it covers the topics such as galaxies, planets, stars, satellites and many other things. Our Earth is one of the planets in our solar system and Milky way is the name of our galaxy. The man who first landed on the moon? There are different types of rocks such as Igneous rocks, sedimentary rocks and metamorphic rocks. Fossil fuels burn in the presence of oxygen releasing energy and carbon dioxide. More usage of fossil fuels decreases the amount of oxygen and increases the amount of carbon dioxide in the atmosphere. Thus, this results in global warming and air pollution. What is a machine that has a grooved wheel that has a cable? Machine with a bar that pivots on a fixed line? A matter is made up of tiny particles called as atoms. Two or more atoms combine to form molecules. There are three states of matter such as solid state, liquid state and gaseous state. How is matter classified in terms of physical state? What you mean by the term volume? Thus, these are the topics which are covered under the CBSE Class 5 science stream. Mathematics gets little tougher this time when compared to the previous classes such as CBSE class 3 and class 4. CBSE Class 5 includes many concepts such as Percentage, lines and angles, shapes and their properties, multiples and factors along with the regular topics of previous classes. Few advanced concepts in “Numbers” topic are covered such as introduction to abacus, handling prime and composite number , knowing the differences between face value and place value of a number, rounding of numbers and number patterns. Word problems on addition, subtraction, multiplication and division are covered under this topic. Advanced word problems in multiplication and division are covered under this syllabus. Alia saves Rs.546 per month. How much does she save in a full year? There are 675 pages in a book. How many pages are there in 15 books? How many weeks are there in 205 days? This comes under the topic of “Multiples and factor”. LCM stands for Lowest Common Mutiple and HCF stands for Highest Common factor. What is the HCF for the numbers 20 and 30? What is the common multiple for 5 and 7? Sunil planted 35 apple and 30 peach trees. If he wants to plant same number and type of plants in a row, what is the maximum number of trees that he can plant in a row? The concept of fractions consists of two main parts such as numerators and denominators. Numerator is the number which is above the fraction line whereas denominator is the number which is below the fraction line. The concept of decimals can be defined as the numbers which contains the decimal point. The number to the left of decimal point is an ordinary whole number and the number to the right of the decimal point is called as “tenths” digits. For example, 1.5 is same as 1 plus 1/5. 3 3/4 % 1 2/3 = ? Ratio shows relative sizes of two or more values. It is represented with the symbol “:”. If there are totally 4 boys and 5 girls in a classroom, then it can be represented though ratio system as: 4:5 which means there are 4 boys out of 9 students (4/9) and 5 girls out of 9 students (5/9). Percentage can be expressed as a value on the basis of rate or proportion per hundred. For example, 36/100 is equal to 0.36 or 36%. 72% of 11 is _ of 40% of 97? A line is a straight path that goes on and in opposite directions. There are different types of lines such as parallel lines and perpendicular lines. Parallel lines are the lines that never intersect or cross each other. Perpendicular lines are the lines which cross each other or intersect at right angles. An Angle is a two lines that meet at an endpoint called a vertex. There are different types of angles such as acute angles, obtuse angles, supplementary angles,etc. Acute angle is an angle which measures less than 90 degrees through the protractor. Obtuse angle is an angle which measures greater than 90 degrees through the protractor. Two angles whose measurement adds up to 180 degrees are supplementary angles. Questions are based on pictorial representation of angles asking students to identify the type of angles. As these concepts are covered in the previous class 4, a little more advanced syllabus are added under this topic. Perimeter is the total boundary size of the object whereas area is the total surface covered by the object. There are 5 cm cubes which are glued together to form a cuboid. Find the volume of the cuboid. How much water does a rectangular tank hold with a square base of 2.5 yards and a height of 4 yards hold? This is a part of geometry which covers different types of triangles such as Scalene, isosceles, equilateral, acute, right and obtuse triangle. Questions based on classifying triangles and properties related to that. An object which has evenly balanced properties called as symmetrical. A shape is symmetrical when its two halves are mirror images along the line of symmetry. Different types of lessons such as mirror games, turning mirror images by ½ turn, examples and problems, identifying different patterns, etc. Pictorial representation of various figures are given to find out the lines of symmetry of each object. Along with the above topics, regular topics like Time and date, measurement of length, mass and capacity, smart charts are also covered in the syllabus of CBSE Class 5 Mathematics. Math is highly important for the growing children and they must be properly trained to solve all the possible problems in their syllabus. Apart from the regular patterns such as addition, subtraction, multiplication and division, Class 4 covers various topics such as geometrical figures, fraction, decimal, etc. It is a known fact that the student who has strong knowledge in math is capable to solve any kind of problems even in other subjects. CBSE Class 4 syllabuses is prepared by experienced teachers who have designed the subjects according to the student’s learning ability. This is a next level of numerical system which covers the topics such as Rounding of numbers, Indian and International systems, predecessor and successor number, comparing numbers, even odd numbers and so on. Word problems based on Addition, subtraction, multiplication and division are covered in this section. These problems will help the students to solve day-to-day real life problems while dividing cakes among friends, shopping, saving and many more. A factory produces 2050 dolls per day. How many dolls are produced in 45 days? Introduction to Fractions are given in the CBSE Class 3. Thus now, fractions concept cover dividing shapes in half’s, quarters, mixed and advanced word problems in fractions. In CBSE Class 4, Decimal section is introduced which covers the topics like reading the decimals and place value, conversion and operations of decimals, etc., This gives a basic understanding for the students of Class 4 that the decimal point goes between units and tenths. Asha leaves home at 7.30 A.M and returns home at 4.15 P.M. How long she has stayed out? Half past 7 A.M and quarter past 10 P.M? Just like time and date concept, the concept of money is also very important for day-to-day activities. Understanding the profit and loss in a sale, knowing the current balance are most important concepts in everyday life. How many rupees are there in 4560 paise? The price of color pencil box was Rs.58 on February which was priced up to Rs.98 within next two months. What is the difference in the price increase? Geometry is an important and interesting subject of mathematics. In our day-to-day life we come across various objects in different shapes. Also, such objects shapes differ according to the position we look at it. Thus, these positions are named as front view, top view, side view and bottom view. Every object is different in different positions. ________ has two end points? The radius of a circle is 5 cm. Find out its diameter? Sunil walks around a triangular garden with sides 16m, 23m and 45m. Find out the distance he covers if he walks around it for 4 times. This is part of Geometrical concept, which covers the topics such as drawing circle, radius of the circle, making circle designs using the compass, centre of circle and so on. The main specialty of a circle when compared to other geometrical figures is it does not have any edges or corners. The distance between the centre of the circle and its circumference is said to be radius. Pictorial representations of circles are given to find out the diameter, radius of it. These are used to measure the size of an object. Perimeter is the total boundary size of an object whereas Area is the total surface covered by the object. Perimeter is measured in terms of meter. The topics which are covered under this section are calculating the exact boundary of given objects, uneven objects and curved shape, Circle boundary and word problems based on perimeter and area of an object. Examples are based on pictorial representation of a triangle, rectangle or square. Students are asked to find out the perimeter and area of the object by giving the sizes of the sides. This is a very common concept and it covers calculating distance between two objects, converting meter to kilo meter, milli meter, etc., Along with the standard unit meter, in CBSE Class 4, other measuring units such as Miles, yard, feet and inches are also taught. Similarly, measuring mass in terms of kgs and grams are also covered in CBSE Class 4 syllabus. In addition to this, introduction to the problems of jugs and mugs, litters and milli litters are covered under the topic of Measurement of capacity. Thus, above are the syllabus covered for CBSE Class 4 Mathematics. Living thing has life and can move, grow and reproduce. Non living thing does not have life and does not move, grow and reproduce. Similarly, animals are huge in variety and every animal has unique and different characteristics. Every animal has its own color, pattern, body weight and structure. For example, the patterns in the body of the tiger are different when compared to the pattern of zebra. Similarly, the strength of an elephant is quite higher when compared to the strength of a deer. Animals can be differentiated into various categories like insects, reptiles, birds and mammals. Animals like cow, hen, and goat are tamed for the household purposes and are called as domestic animals. Similarly, animals like tiger, lion, rhino, and deer can be seen only in dark forest and cannot be tamed in the houses for domestic purposes. Name any two water animals? I fix the plant to the soil. Who am i? Human body consists of different organs which are responsible for different kinds of tasks individually. This chapter covers the main systems of our human body and their functions. This is an important system which releases unwanted wastes from our body. Pair of kidneys helps in the process of eliminating unwanted waste from our body. This is a main control system for a human body. It consists of brain, spinal cord, sensory organs and nerves which connect throughout the entire body. This is responsible for all the sensory organs of the body. This is a vast network of organs and vessels that is responsible for flow of blood, nutrients, hormones and oxygen. Without the circulatory system the body will fail to fight against the diseases and hence the body becomes more vulnerable to any kind of diseases. As the name suggests, respiratory system is responsible for inhaling fresh oxygen and exhaling carbon dioxide. This process is done with the help of pair of lungs. Which are the organs used for the respiration process? What kind of animals can be tamed as pet animals in our home? Please do not move the part which is injured. Be careful during this time since moving the injured part may cause severe damage to the bones. Write any two steps to be taken when a person is in unconscious state? Answer: Check their breathing by tilting their head backward and feel the breath, Loosen his tight clothing. What should be done when a ship catches fire and we are in it. Answer: Immediately wear life jacket and try to catch a life boat. This chapter covers the topics such as air and weather and water. This is a transparent substance which is very much necessary for living organisms. Most part of our body is covered with water. Drinking 3 to 4 liters of water daily is an essential day to day activity. Thus, water must be pure and prevented from pollution. This is a study of galaxies, number of planets, solar system, stars, meteoroids, satellites, etc., This chapter covers nine planets and their names, function of our solar system, moo, sun and satellites. Name any three activities which can be done without water? What is meant by atmosphere? Answer: The layer of air surrounding the earth. Rocks are made up of one or more minerals. There are three main classifications of the rocks such as sedimentary rocks, metamorphic rocks and igneous rocks. Soil is formed from the fine rock particles mixed with air, water and particles from dead plant and animals. In addition to the rock particles, soil contains? Which top soil is best suited for growing plants? Work is a result when a force acts upon an object to cause displacement. In other words, it refers to an activity involving a force and movement in the direction of force. Energy is a capacity to do any work. In other words, in order to do any kind of work you need energy. Force is a push or pull upon an object resulting from the object’s interaction with another object. Whenever, there is an interaction between two objects, there exists a force. When the interaction ceases, two objects no longer experience force. Does a work done on a load depend upon the time taken to raise the load? Is work a scalar or vector quantity? Can kinetic energy of an object be in negative? A sound is a vibration that travel through the air or another medium and can be heard when they reach a person’s or animal’s ear. Light is a natural agent that stimulates the eye sight and make things brighter than normal. Answer: Sound travels through solids, liquids and gases as it requires a medium to travel through. These three states provides medium for the sound to travel. Sound cannot travel in vacuum. Which of the following voices is likely to have minimum frequency? Answer: A man voice has minimum frequency since the sound is directly proportional to its pitch. Thus, the voice of an adult man has lower pitch when compared to the other voices. Matter is a substance that has inertia and occupies physical space. According to physics, matter consists of various types of particles such as mass and size. Which of the following are matter? Chair, air, cold drink, smell of perfume. Answer: Anything that occupies space and has mass is called as matter. Matter can exist in three states such as solid, liquid and gas. Chair is a solid state of matter. Air and smell of perfume are gaseous state of matter. Cold drink is a liquid state of matter. A diver is able to cut through water in a swimming pool. Which property of matter does this observation show? Answer: This shows that the matter is made up of particles. There are different means of transport in our country. In our day-to-day life, we go by bus, car, scooter, bicycle, auto rickshaw or by any other means of transport. Communication is a way of expressing our thoughts and ideas to the people we meet. We talk to our parents, friends, neighbors and share our ideas. Just remember, if we do not have anyone to communicate or share our thoughts? Ideas and feelings cannot be exchanged in such cases. Thus, communication is very important in our everyday life. Give any two transports of the people in villages? Which means of transport will you use to travel from Chennai to Delhi? Our first school is our family. Our parents, brothers, sisters, elders are our family. We learn many things from our family such as good manner, discipline, good habits, etc., Our parents teach us basic things in our everyday life and how to respect the elders. Thus, learning about our family is very important and everyone should know their own family’s likes and dislikes. Answer: A group consisting of parents and children living together in the same household is called a family. What is an extended family? Answer: An extended family consists of close relatives, grandparents, cousins living together in the close proximity or in the same house. Above are the syllabus covered for the CBSE Class 3 science stream. It’s our duty to keep our environment neat and clean. A clean environment is necessary for a neat and peaceful life. Natural environment helps humans and animals to live their day-to-day life. They provide fresh air, vegetables, fruits, water and so on. But due to some bad and selfish attitudes of humans, the environment gets spoiled. Thus, it is the duty of the human beings to take care of our environment by preventing pollution and avoiding deforestation. Air pollution occurs due to the increased number of vehicles, increased number of waste discharge from the industries, burning plastics and so on. Thus, humans must take step to control air pollution by following ways. Instead of burning papers, glass bottles, plastics try to recycle them which conserve energy and reduce production emission. Plant at least one tree at your neighborhoods. Try to use solar electricity at your homes. Choose not to smoke anywhere outside the smoking area. Do not flush pills, powder medications or any solid waste into your toilet. Do not pour oil based foods, fat or cheesy foods stuffs in your sinks. Do not dispose any kinds of chemicals, motor oil or other automotive fluids into the sanitary sewer which may end at the river. Whenever the sound is excessive or unpleasant, noise pollution occurs. Loud music, sounds raised by the traffic jams on the roads, electrical appliances sound, etc. are all examples of noise pollution. Planting number of trees around your atmosphere may reduce noise pollution. Approving noise producing industries away from the city areas. Sound absorption can be done by constructing windows with double or triple panes of glass with sound absorbing material. What is the role of decomposers in our ecosystem? Answer: Decomposers decompose dead remains of the plants and animals. This way they channelize the raw materials back to our environment and also reduce the burden of removing the waste dead body away from the environment. Answer: Ozone is a form of oxygen. Ozone forms the ozone layer in our atmosphere. Ozone layer prevents the harmful ultraviolet rays from sun and thus protects the living beings. Name any plant that has flowers but no leaves? Photosynthesis is carried out in which part of the cell? What is the fastest animal with two legs? Our body is made up of several organs such as liver, kidneys, lungs, heart, etc which are responsible for individual tasks. The primary organ for the process of respiration is lungs. Lungs take in oxygen and expel out carbon dioxide as we breathe. This is a system which releases out unnecessary wastages from our body. Kidneys help in the process of excretion. This consists of brain, spinal cord, sensory organs and all the nerves that connect these organs to the rest of the body. These organs control the body and helps in communication among all the parts. How many chambers does a normal human heart have? In the human body, where is the humerus bone? How long does a missing finger nail take back to grow again? Food is an essential thing for human life. Foods can either be in a solid or liquid state. In order to perform everyday activities, every living being depends upon food which gives them energy to perform any function. Clothing is also an essential factor for humans which protect them against various types of seasons on earth. For example, cotton keeps the body cool during the summer whereas wool, silk or fur keeps the body warm during winter season. Shelter is place where humans can be safe and secure. Houses built up with woods, stones and any other material with proper ventilation, proper security is called as shelter. Shelter is a place which keeps the humans warm during winter and cool during summer. What ingredient makes the bread to rise? Which cloth is made from the skin of polar beer? Name any product that helps us to keep our house clean? Wear seat belt that is provided at the back of your seat. This will keep you safe whenever the vehicle travels in excess speed. Always watch the front mirror before overtaking a vehicle. Never suddenly turn or reverse the vehicle without indicators. Look both sides of the road before crossing it. Cross the road only when you see “Pedestrain cross” symbol. It is always important to wear knee caps and helmets before playing any outdoor game. Hydrate yourself sufficiently before start playing since the water content of the body highly decreases while playing. If the arm is broken it is supported by tying a sling. Air, water and weather are the essential things for the survival of living organisms. Air is an invisible gaseous substance surrounding our atmosphere. It is a mixture of mainly oxygen and nitrogen. Water is a colorless, transparent, odorless liquid which forms lakes, seas, rivers and is the most essential for all the living organisms including plants, animals and human beings. Weather is a state of the atmosphere which can be hot or cold, wet or dry, clear or cloudy, calm or stormy. Which gas is found to be highest by volume in air? Taj mahal is suffering from marble cancer? What is called as marble cancer? Answer: Some of the rain water goes into the soil and this is called as ground water. This topic covers our earth and our Universe. This covers details about stars, meteoroids, planets, solar system, etc. The Solar system also known as solar family is made up of Sun, nine planets, satellites and other celestial bodies like asteroids and comets. The solar system has sun at its centre and sun keeps the solar family together with its gravitational pull. The planets, comets and asteroids revolve around the sun in different orbits. The solar system is considered to be about billion years old which is formed from the dust and gas of the ancient solar nebula. There are nine planets such as mercury, venus, Earth, mars ,Jupiter, Saturn, Uranus, Neptune and Pluto. Which star is at the centre of our solar system? Which planet is nearest to the earth? Our Earth is formed with the help of rocks and minerals. Rocks are constantly being formed, worn down and formed again. Rocks break down into sand. The sand along with the decomposed products of animals and plants becomes soil. The most important thing is, Earth crust is made up of rock. Rocks have been used by the humans for millions of years for making tools, weapons, and other construction materials to make their shelter. There are different types of rocks such as sedimentary rocks, igneous rocks and metamorphic rocks. What remains of living things does sediments include? What is the type of rocks that forms layers? This topic covers the concepts of light, definition of light, how light travels through space, what is shadow, how shadows are formed and so on. Light always travels in a straight line and allows one object to hide another. Light comes from the light source such as sun, light bulbs in our houses and candles. Light is reflected off the object and into our eyes. That is why we able to see them. Shadows are formed when the light is blocked. Light cannot travel through opaque objects such as metal and wood. Which travels faster sound or light? Which color does yellow and red make? In railway station, trains serve as the best means of transport for an individual’s daily journey. Similarly, nearby hospitals help us vastly when we are sick. They treat us immediately and help us to become completely alright very soon. Thus, this lesson covers all the important institutions and there valuable service for us. Pictorial representation asking the students to point out the function of each persons. Thus, these are the above topics which are covered in the syllabus of CBSE class 2 Science stream. Those things which have life and can move, grow, reproduce are called as living things. On the other hand, those things which do not have life and do not grow, move or reproduce are called as non-living things. Which need air, water and sunlight? Plants can be of different types and shapes. Every plant is unique and has different characteristics when compared to other plants. But however, any plant may have stem, roots, flowers, leaves, etc., There are also few plants like cactus which have flowers but no leaves. Plants make their food through a process called as photosynthesis. The leaves of the plant contain a pigment called chlorophyll which gives green color to the leaves. This chlorophyll helps the plant to make their own food through the process called photosynthesis in which the plant mainly requires sunlight, water and other nutrients as their food. During this process of photosynthesis, plants release fresh oxygen and inhales harmful carbon dioxide. Plant reproduction takes place either asexually or sexually. Asexual reproduction is the process of producing the offspring through only one single parent whereas sexual reproduction is the process which produces the offspring through the fusion of the gametes. Apart from the above things, plants have wide variety of uses such as it provides clothing, fuel, shelter, and many other necessities for human life. Just like plants, every animal is different from another. For example, the skin pattern for a cheetah is different from that of a deer. Also, the bodily structure and strength differs for every animal. Most of the animals such as fish, reptiles, mammals, reptiles and birds have simple life cycle. They are born either directly through their mother or through hatching the eggs. Then they grow similarly just like their own species and die. Most of these animals have only three stages of growth such as before birth, young and adult. In all the stages, the physical appearance of the animal varies only in sizes but not in appearance. There are different varieties of animal species such as amphibians, insects, reptiles, birds, mammals, etc. Amphibians like frogs undergo metamorphosis in which they spend their childhood under the water breathing with the help of gills and they start breathing with the help of lungs once they are grown up. I make the seeds for the plants. Who am i? Our body is made up of many organs which are responsible for individual task. This is a system which helps the humans to respire. With the pair of lungs, it inhales oxygen and exhales carbon dioxide. This system is responsible for removing waste from the human body. A pair of kidneys helps in the process of excretion. This consists of nerves, spinal cord, brain and all sensory organs that connect these nerves to the rest of the body. These organs are responsible for the control of the body and communication among its parts. The functions of a circulatory system is to deliver the oxygen, removal of carbon dioxide and other waste materials from the body, supplying nutrients and other useful molecules to all the body parts. What are the parts involved in the digestive system? The basic nature of different types of food, how long they stay consumable, when does a food gets spoiled?, how did the people find their foods earlier, Who prepares our own food?, different types of taste that our mouth can feel, how do the plants make their food are the key concepts which are covered under this chapter. A Home is different from the house because house is just a place of shelter and it can be a concrete building. But a home is different. It can be any place the living being chooses to live for. For example, for animals the home can be the dark forest whereas for the humans the home can be their own houses built with the help of several construction materials. Name any two animals that can be tamed as domestic animals at our houses? Health education plays a very important role in everyday life. To prevent illness and to always stay positive, a clear understanding of health and hygiene is very much necessary. Health is cleanliness and cleanliness is one of the main defense against diseases. Similarly, hygiene means the art of keeping oneself healthy. The purpose being hygienic is to make man healthier. It not only depends on the individual’s health but also the whole community can be safe by practicing hygiene. Bathe regularly. This will not only keep you fresh but also remove all the unnecessary dirt and dust from the skin. Practicing this will keep anyone healthy and hygienic. What is the correct temperature that frozen foods can be kept at? What is the reason for drying your hands after wetting them? Answer: Because germs and bacteria easily spread with wet hands. Help which is given during the emergency situations before the person can get the medical attention is called as first aid. This first aid treatment contains the first aid box which includes all the major instruments necessary to treat the patient. The first aid may contain scissors, sticky tapes, antiseptic cream, disposable sterile gloves, bandages, pain killers, distilled water for cleaning the wounds, thermometer, etc. But however, before an accident occurs it is very much necessary to be careful preventing any accidents. Remove the clothes around the wounded area. Run cool water (Not very cool) into the wounded area until the pain eases. Do not put any ointments, butter or cream without medical supervision. Do not break any blisters that might have formed. Run it under the warm water thoroughly until the wound is thoroughly cleaned. Encourage to bleeding from the wound. This will prevent any bacteria entering into the wound. Air is an invisible gaseous substance present around our atmosphere. Air pollution occurs when the air contains dust, fumes, odour and it can be harmful to the humans, animals and even plants. The substances that causes pollution is called as pollutants. Water is a colorless, odorless liquid which occupies most of the seas, lakes, ponds in the Earth. Around 71% of human body is made up of water. A human cannot survive long without water. Thus, water is a very important source for the living beings survival. Water in the lakes, ponds, rivers are often contaminated by the human activities. This is called as water pollution. Let’s check out the few ways to control the water pollution. Please to do not dispose any oil substances, ghee foods, chemical substances into the toilet or sinks at your houses. Do not flush pills, medicines, chemicals into your toilet. Use limited pesticides to your garden. Instead make use of environment safe liquids to your gardens. Do not make use of more detergents, soaps and powders while washing your clothes or dishes. dresses to keep themselves cool throughout the whole day. We need ___ for breathing? Name the elements that determine the weather of the place? This lesson covers the major topics such as solar system, nine planets, meteoroids, stars, galaxy, etc. Solar system is made up of sun and all the other smaller particles move around it. Apart from the sun, there are eight other planets which revolve in different orbits. The Universe contains billions of galaxies, each containing billions of stars. The space between the galaxies and stars are extremely empty. Answer: Yes. All the planets move around the sun and in turn the whole solar system (Sun at the centre) revolves around the centre of galaxy, milky way. What is the biggest planet in the universe? Sound and light both travels as waves. Sound waves travel million times slower than the light waves. Light waves are capable of moving through an empty space whereas sound waves moves much slower than the light waves and can travel through any substance such as solid, liquid and gas. Why does not sound travel in a vacuum? Answer: There are no atoms to vibrate to carry the sound waves. Thus it needs a medium to travel. Different people do different jobs and provide numerous services to us. These people are called community helpers. Few examples of such community helpers are plumber, doctor, postman, farmer and many others. Thus, this lesson covers the services provided by them and the type of work carried out by them. Who is a cobbler? What is his nature of work? A cobbler is a person who repairs shoes. Name any two instruments used by a carpenter? Thus, these are the topics which are covered under the syllabus of CBSE class 1 science stream. CBSE schools in Delhi are the first and foremost preferable centers of education among students and parents. These schools are directly affiliated to the Central Board of Secondary Education (CBSE) which has its head quarters at New Delhi itself. These CBSE schools are wide spread across length and breadth of New Delhi proving best education services in various streams such as Science, Mathematics, arts, commerce, economics, etc. For the standards 11th and 12th, the syllabus differs according to the disciplines chosen by the student whereas up to class 10th, same uniform pattern of syllabus is followed called as Common Minimum Syllabus and makes all subjects compulsory. CBSE schools in New Delhi have world class recognition and provide excellent education by developing innovative and creative skills among students.They have excellent facilities such as smart class rooms, libraries with 24/7 internet connection, digital libraries and every modern resource for a classroom. So, let us check top most CBSE schools in New Delhi one by one. DPS, R.K.Puram is one of the most prestigious institutes of India which was established in the year 1972 in New Delhi, as a private institution run by the Delhi Public School Society. Just like many other popular DPS schools across the country, DPS R.K. Puram has proved outstanding academic results each year in the CBSE board examinations. The school is directly affiliated to Central Board of Secondary Education (CBSE) which is the largest education board in India and it is recognized by the Department of education, ministry of HRD of Government of India. Along with this, the school is also affiliated with the Indian Public School Conference (IPSC) and National Progressive School Conference (NPSC). The unique achievement of this school is the dedicative care and encouraging attitude of physically and mentally challenged students in the mainstream of the school life. This school has students enrolled from Class VI to Class XII. Facilities: The school covers facilities such as separate hostels for boys and girls, sports complex, school clinic, staff room, Open Air Theatre, library, AVH, Commercial room, sculpture room, robotics lab, math lab, lab for chemistry, physics, computer science, etc. Educationworld has declared DPS R.K.puram No.1 in Academics among all CBSE schools in New Delhi. This school had been established by the Gujarat Education Society established in 1958 to meet the diverse educational needs of the Capital city of India. This school has implemented several special programmes such as Science activity center, inter school events, theatre in education, activity week, clubs and workshops, leadership training, education visits. There are total number 1600 students studying in the School campus. Facilities: The facilities within the campus are library, canteen, medical center, transportation service, auditorium, Biology and Chemistry labs, Math Lab, Language lab, etc. Students are encouraged with merit cards if they qualify in their examinations with a minimum of 70% to 75%. Similarly, the students who score more than that are honored with respective merit cards and prizes. The foundation stone for this school was laid in the year 1996 by Smt.Hemi Surendra Singh who was chairperson of the civil sevices society. Later, this school became function in the year 1998. This school was mainly developed to cater the education needs of children of Civil service society people, defense personnel and All India Allied service people. This school at present accepts 25% of economically weaker sections of students and thus runs as a non-profit organization. The motto of the school is “Knowledge is liberation”. The main ambition of the school is to provide safe and secure environment of learning and individual attention is given during learning process. Facilities: It consists of facilities such as library, auditorium, music rooms, swimming pools, dance rooms, gymnasium, indoor games, hostel, health and medical checkup centres, amphitheatre, canteen facilities, art block, etc. Please check the administrative office for buying the application form. Parents please notify the registration start date and closing date while buying the application form. Please fill in all the necessary details and submit it to the office. If the student belongs to the parents of Civil services, Defense service or All India Allied services please notify the same with proof of documents. Admission is done on the basis of personal interview and written exam. This school was established in the year 1991 and it is considered as one of the top most CBSE schools in India. Just like other DPS schools in New Delhi, this school is affiliated with Central Board of Secondary Education (CBSE) Board of New Delhi. This school has excellent teaching facilities with almost 208 teaching and non teaching staffs to guide the students in each and every subject possible. Over the last decade, the students of DPS Vasant Kunj have contantly proved excellent records in the CBSE board examinations. Facilities: It has numerous lavish facilities like spacious classrooms, libraries, multimedia labs, science labs, math lab, health clinics, hostel facility, environment clubs, quiz club, consumer care council and so on. There are three libraries from Class II to Class XII. They are divided as Junior library for classes II to V, middle school library for classes VI to XII and 3rd library for specific needs of students from class X to XII. The school has won 2 Gold medals, 1 Silver Medal and 4 Bronze Medal in Delhi State Karate Championship 2014. Also, the school has proved excellent records in the JSTSE 2013-2014 exam, MINET 2014, XXII Inter school Mathematics competition, etc. The admission process is done through interview process. The entrance test is conducted for the admission to all classes. This school was founded in the year 1949 and was the first Delhi Public School established. It is a co-educational boarding school in New Delhi which is affiliated with CBSE board of New Delhi. 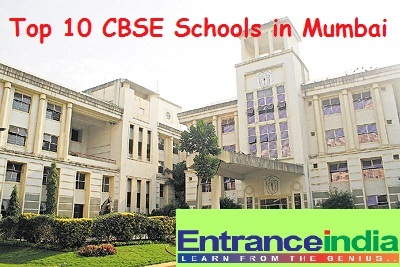 It was the third most respected secondary schools of India according to the IMRB survey. The main ambition of this school is provide best possible education to the students. They also strive hard to nurture great qualities such as integrity, honesty, trust, compassion to help students to become a meaningful part in the environment. The special programmes which are offered by the school are Language classes which teach languages such as French, Japanese, Arabic, German, Russian, Italian, and Spanish and so on. Subjects like Science, mathematics are taught through audio and video lecture rooms. The campus consists of ultra modern cafeteria which provides daily nutritious food to the children. The other facilities within the campus are health clinics, AV rooms and auditoriums, book shop, library, transport facility and so on. All school books or school stationary things can be bought from the Book shop which is located within the campus. Students are encouraged by providing gold medals, silver and bronze medals, scholar badges for their achievements in academics, sports or in any co-curricular and extracurricular activities. This school has achieved 100% results in CBSE X examination during the academics year 2014-2015. Among that 90 students have secured CGPA -10. Please refer the official site for the notification for the admission to the next academic year. This school was founded in 1956 and it is affiliated to CBSE board of New Delhi. This school has been featured thrice in the survey taken by Outlook C-Fore as the Best School in New Delhi and one of the top most CBSE schools in India. This is an English medium co-educational, non-residential school which implements 10+2 scheme of education. This school is recognized by the Directorate of Education, Delhi Administration and Sliecial Institution by the Directorate of Education, Delhi. Also, this school is affiliated with the CBSE board of New Delhi for the All India Senior School Certification Examination (Class XII) and All India Secondary School Examination (Class X). This school is situated in the middle of the pleasant surroundings of Shri Aurobindo Ashram campus (Delhi Branch). The total strength of school at present is 2500. Each class consists of 35 students only. The school consists of best experienced staffs who can provide guidance in a perfect way. Facilities: General facilities such as spacious classrooms, libraries, canteen, medical clinics, transport facilities, art rooms, Math lab, art and craft rooms, auditoriums, yoga room, assembly hall, Home science lab, 2 Chemistry labs, 2 Biology labs, 2 Physics labs, Comprehensive technology centre, dance rooms, labs and so on are provided within the campus. Please either download the application form from the official website or buy the application form from the office. Please fill in all the required details clearly. Income certificate of the parents. Please also take attested photocopy of these documents along with the originals. Submit all photocopies and original (If necessary) at the office administration. Delhi Jain Public School was established in the year 1973 which is co-educational English medium school and it is affiliated to CBSE Board New Delhi. The chairman Shri.R.C.Jain of Delhi Jain Public School wanted to mould the young minds into a talented, intellectual and creative during their studies. Located at the heart of the city, this school gains more attention and importance among all schools in New Delhi. Facilities: Well quipped science labs, projector supported class rooms, well furnished home science lab with modern gadgets and so on. Students from this school have proved excellent records in their academics and have got seats in top most Engineering and medical institutes of India. The academic classes are divided into Pre-primary, primary, middle, secondary and senior secondary levels. Please refer the official website for any official notification regarding the admission process for the next academic year. This school was established in the year 1977 and it is recognized as one of the best CBSE schools in India. This school is a co-educational school and had been upgraded to senior secondary level. This school is recognized by the Government of N.C.T Delhi and it is affiliated to the CBSE board of New Delhi. The first batch of Class XII standard appeared in the year 1989. The school is also supported by experienced staffs, skilled technicians and talented non-teaching staffs. Facilities: All facilities such as spacious classrooms, library, transport facilities, club activities for students, books and stationary shop within campus, music room, dance room, meal planning and fruit preservation classes, arts such as painting, drawing, etc. The admission process of this school starts on first April of every year. The admission is strictly based on the merit basis and seat availability criteria. Thus, parents who wish to enroll their children in this school must check the official website for the official announcement of admission process for the upcoming academic year. No interviews are conducted for the admission to the Nursery level. Admissions to the classes above that are purely through merit basis and availability of seats. Such students have written test and personal interview and they have to clear both to seek admission in this school. 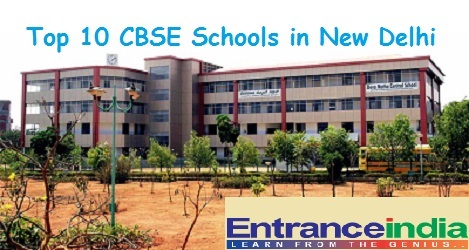 This is one of the best CBSE schools which is affiliated with CBSE board of New Delhi. This school mainly concentrates on hands-on learning than just learning from the books. The hands on learning will help students to grasp the subject intently to his heart without any difficulty. E-Learning facility is also followed by the students of Lotus Valley School which are easily accessible and maintainable. Facilities: The facilities such as library, labs, dance room, music room, art centre, transport facility, canteen facility, squash court, auditorium are provided within the campus. The registration process for next academic year is open from 1st September 2015. The minimum age requirements for Pre-nursery must be 2 years 6 months, Nursery must be 3 years 3 months, K.G must be 4 years 3 months. The application form can be bought from the administrative office. Please fill in all the required details of the application form. Submit all the original documents along with the photocopy of the documents at the administrative office. This school which was founded in 1996 by Numberdar Shri Umrao Singh Tyagi Memorial Educational Society and it is affiliated to CBSE board of New Delhi. This school offers education from Class I to Class X and plans to upgrade to senior secondary level soon. Facilities: The facilities within the campus are modern library, transport facility, canteen facility, art rooms, auditorium, internet connection, well equipped laboratory, foot ball, volley ball and basket ball courts, modern computer labs, swimming pool, etc. The school gives excellent coaching in most of the sports such as Volley ball, Basket ball and Foot ball and encourages students in participating in Inter school, inter- state, state and national level sports tournaments. The subjects covered in the Primary level are English, Mathematics, Science, Social Science, English and Hindi cursive writing, E.V.S, Hindi, etc. The subjects covered in the secondary level are Mathematics, Sanskrit, English, Hindi, Science, Social, Scientific skills by submitting projects and participating in quiz competition, etc. Pre primary levels have 2 sections with a total strength of 69 students. The application form is available through the official website or available directly in the administrative office. Please fill in all the required details and submit the application form along with the original documents and attested photocopies of those documents. Once the admission is granted, there is concession in the fee structure if the student belongs to Widow or if the student’s brother or sister studies in that school. Also concession is provided for the weaker sections students and for the students with outstanding performance.